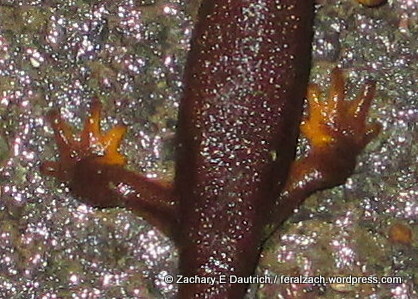 You can see in this photo a great example of the understep walk that these awesome little creatures move in, with the five-digit rear feet landing just behind the four-digit front feet. So cool to see them walk. 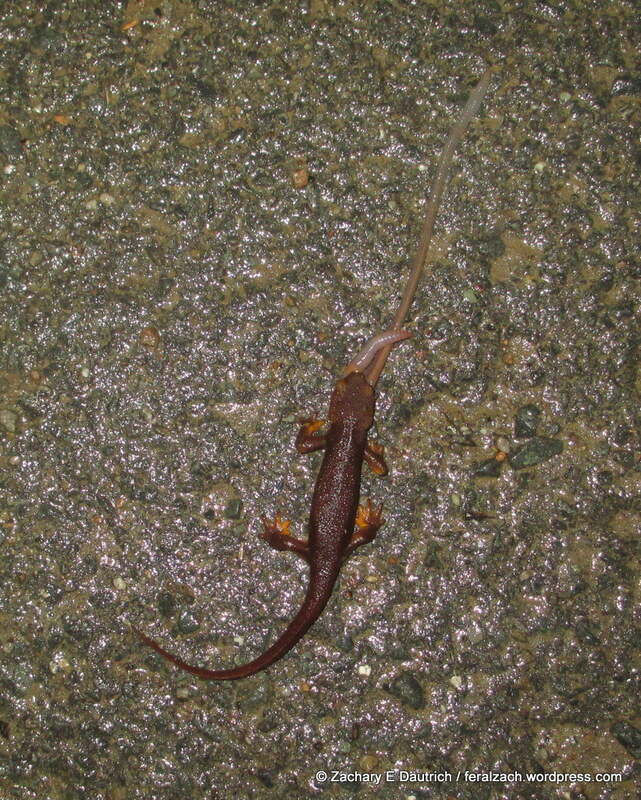 Note also the tail drag in the middle. I couldn’t help but smile in the dwindling light tonight, as my footfalls fell softly on the soft wet ground to a chorus of water drips falling from the leaves around me. It hasn’t been often this year to feel the rain drops on my face – hopefully we continue to get some more before the usual rainy season ends in a month or so. As I reached the high ground on my short wander in Wildcat Canyon, the winds started to pick up and the rain became heavier. 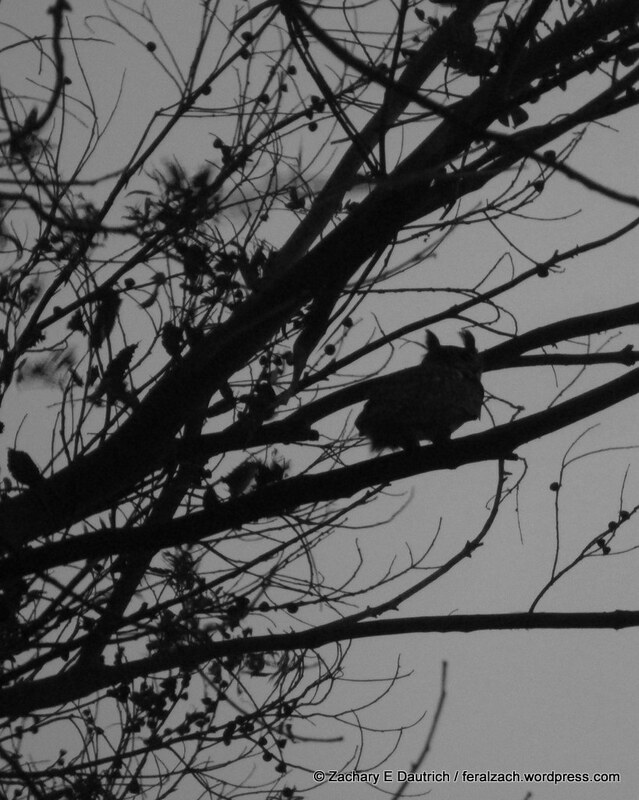 I gave a couple of hoots at a spot where I usually see one of the pairs of owls, and after a few steps I saw one of them perched out on a branch in his “transition” spot where he goes just before heading out to hunt. He was hunkered down in the direction of the wind and rain to the west, leaning over to allow the gusts to flow around his feathery coat. But after a few moments, he seemed to think it a better idea to go back to bed, and he returned into the deeper woods of Monterey Pine and Douglas Fir where he took a few moments to give a few hoots. 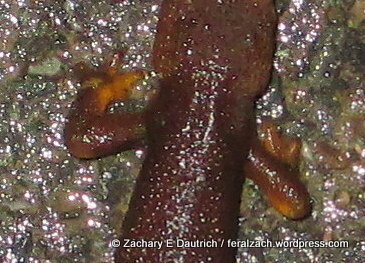 As I hopped down the side of the hill, I noticed a number of newts were also out enjoying the rain. Towards the bottom near the parking area, I found one of them enjoying some breakfast – an earth worm! 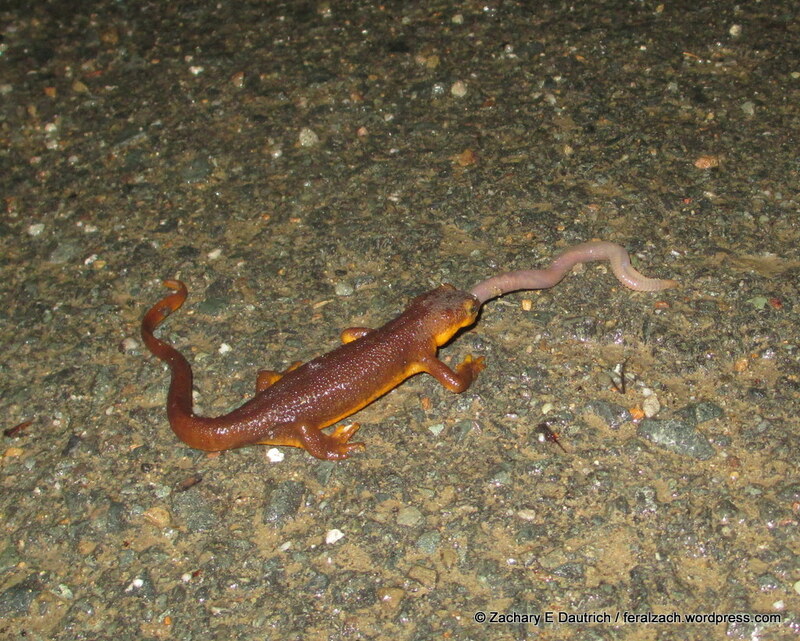 It only took the newt about a minute or two to finish the worm, which didn’t seem to struggle all that much. After it was done, it walked off into the canopy of some milk thistle on the side of the path. 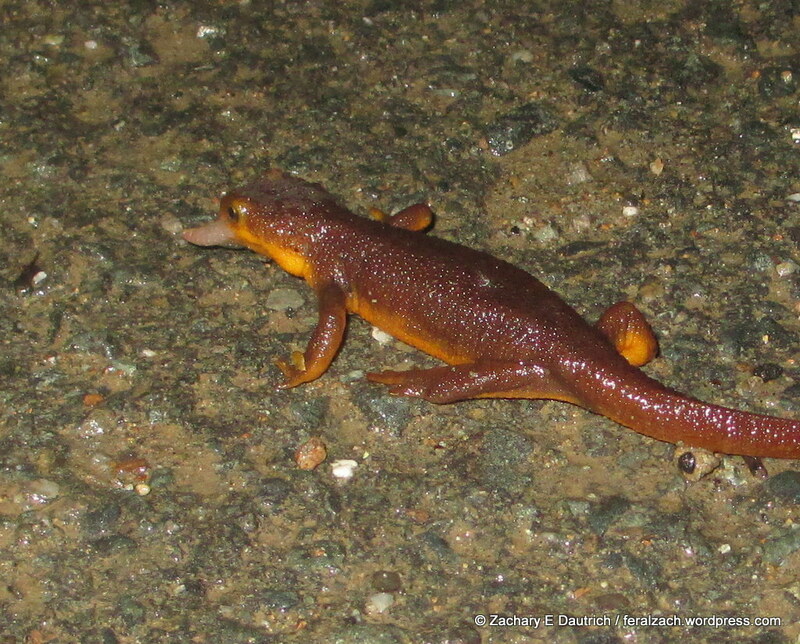 The newts I saw tonight are likely the California Newt, Taricha torosa – hard to differentiate from the rough-skinned newt (Taricha granilosa) which is also found in this area.